Value trumps Price hands down, every time! In recent times, the buying of insurance has become associated with searching for the cheapest price. Online buying guides advise customers to always shop around for the best price and never auto-renew. Even the Regulators force statements on renewal notices to advise customers to shop around. This is commoditisation in all its glory! Earlier this month, at The Digital Insurer conference in Singapore, James Eardley from SAP Hybris presented the findings of a current report from Ovum “Driving Engagement through Value Creation”. The report found that customers would pay higher premiums for value engagement. Interestingly, when you look at the demographics, the Under 35s showed the highest willingness to pay more. I covered this previously here about wearables and digital engagement in Life and Health. The latest example to catch my eye comes from the innovation team at Halifax, the UK’s 3rd largest general insurer with 3.2m customers. Bringing together a number of InsurTechs, the Halifax home insurance app is built on Surely’s insurance platform as a service. Surely provides the core insurance functions and integrates with 3rd party data sources to provide loss prevention and mitigation. These data services include Fing to connect all smart devices together, HomeServe Labs who use their Leakbot for water leak detection and Fibaro for fire detection. The platform also connects to presence and entry detection sensors, such as Samsung SmartThings, and all sensors are integrated into the app and provide the Halifax customer with up-to-date information about their house and home contents. The Halifax app even takes a weather feed to warn of extreme weather conditions that can impact the home. Prevention is always better than cure, right!? When it comes to Auto, the combination of in-car telematics and mobile phone tech has seen the launch of Pay-As-You-Go and Pay-How-You-Drive insurance products. It’s a subject I’ve covered before, including articles like this featuring UK on demand auto insurer, Cuvva. 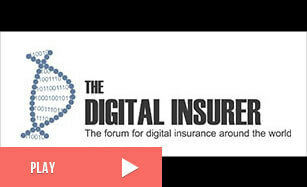 The real expert on this subject at The Digital Insurer is Andrew Dart who writes our Connected Insurer page. Which brings me to the main subject of this month’s article – Metromile. They represent everything that defines #InsurTech as we know it today, and yet they pre-date the social media tag by half a decade! Metromile is a 7-year-old U.S. auto insurer I first wrote about back in 2015. Their business model is based on a pay-per-mile insurance product which they then wrap with other services to enhance the car ownership experience for their customers. To enable continuous customer engagement, Metromile use tech in the form of the Metromile Pulse (a device that plugs into the car’s on board diagnostic port) and a smart driving app on the customer’s mobile. They recently announced Series C and D investment rounds that took the total money raised to $205m. It’s an impressive sum that puts them in the InsurTech fund raising upper quartile. You can watch the firm’s CEO Dan Preston explain the Metromile insurance product in this short YouTube video. This is where behavioral economics kick in. It is this sense of trust and loyalty that directly links to lower levels of claims fraud and embellishment. (See Lemonade). None of this would be possible in a traditional auto insurance product. Metromile has exploited technology to enable this digital engagement. The key is the Metromile Pulse; a dongle that customers plug into their car to read the on-board telematics data and connects to the mobile phone and the Metromile app. This allows Metromile to know when the car is being driven and when it is not. In turn, this allows Metromile to price on a per mile basis for insurance, turning it off and on accordingly. So there you have it! Everyone’s a winner when the insurance product is built around a digital engagement model. Customers get value from the money they’ve paid out for their insurance purchase (not just a safety net if they suffer a loss). Insurers get value from lower customer acquisition costs, less churn, lower operating costs and reduced fraud. They also get one step closer to one of the biggest innovations from InsurTech – personalization (and that’s a story for another day! ).